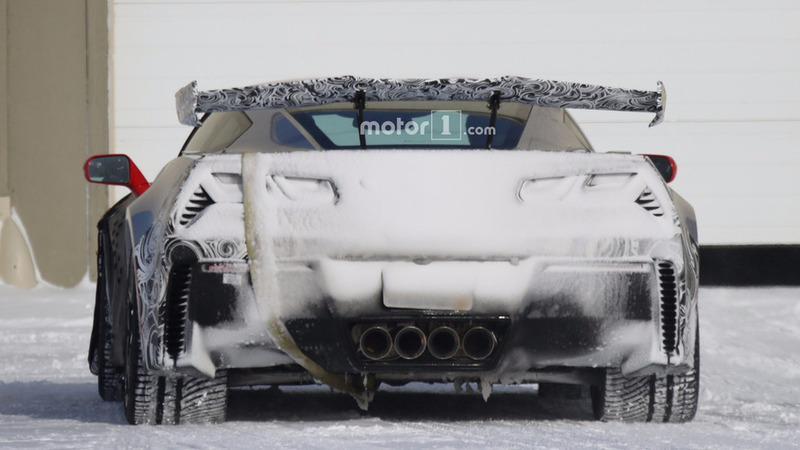 Tantalizing spy photos and videos prove pretty conclusively that Chevy engineers are hard at work on bringing a top-dog Corvette variant to market. 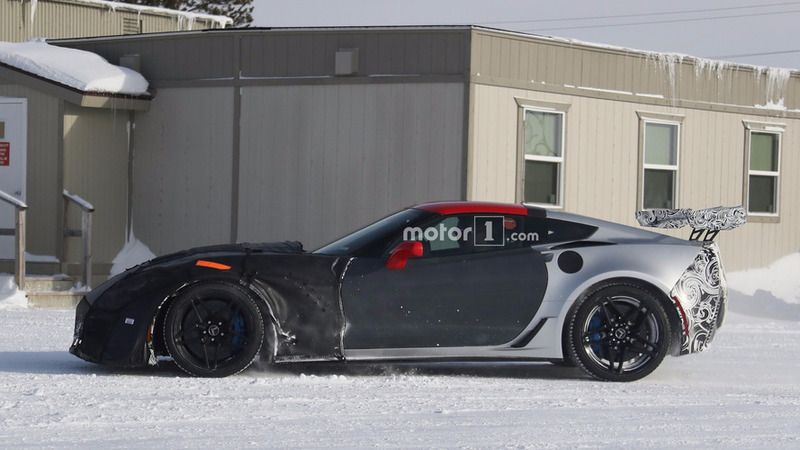 But so far we haven’t heard much about what is expected to be called the ZR1, aside from rumors and speculation. 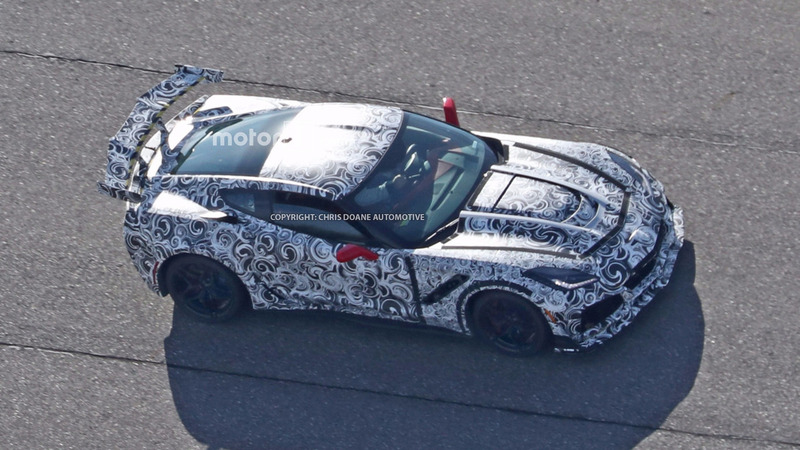 With the latest round of spy videos once again piquing our interest in the forthcoming track weapon, here’s everything we know about the Corvette ZR1. The new ZR1 will be the fourth time that alphanumeric code has been applied to a factory Corvette. The first time, ZR-1 was an option pack for the 1970-1972 Corvette, with upgrades to the car’s engine, suspension, brakes and radiator – but only 53 were ever built. That was followed by the ZR-1 version of the fourth-gen Corvette. Launched in fall 1989, its all-aluminum, dual-overhead-cam 5.7-liter V8 cranked out 375 horsepower (279 kilowatts) at launch, and was later upgraded to 405 hp (302 kW). It also had a wider rear track to accommodate 11-inch-wide rear wheels, necessitating other bodywork changes. Then the Corvette ZR1 returned with the C6 in the 2009 model year. This time, power came from a supercharged 6.2-liter V8, with ratings of 638 hp (475 kW) and 604 pound-feet (818 Newton-meters) of torque. That was enough for it to run to 60 mph (96 kmh) in 3.4 seconds and continue on to a scorching 205-mph (329 kmh) top speed. And along with upgraded carbon-ceramic brakes, new suspension, and other tweaks, the ZR1 set a Nürburgring lap time of 7 minutes, 19 seconds. The new version will follow essentially the same strategy, adding horsepower, grip, and braking prowess to the C7 Corvette. It’ll be even more capable on track than the current top-dog Z06. Um, have you noticed that giant rear wing? Spotted on both coupe and even convertible test cars, the new wing seems to be a key part of the Corvette ZR1’s aerodynamics package. In general, the ZR1 looks to use the widened bodywork from the Z06, with various inlets to cool the brakes, differential, and engine. A new front fascia likely features enlarged air inlets and a new front splitter, the hood appears to have a prominent hump that could accommodate a supercharger, and there are new wheels with star-like spoke designs. In other words, it’s the Z06 turned up to the proverbial 11. 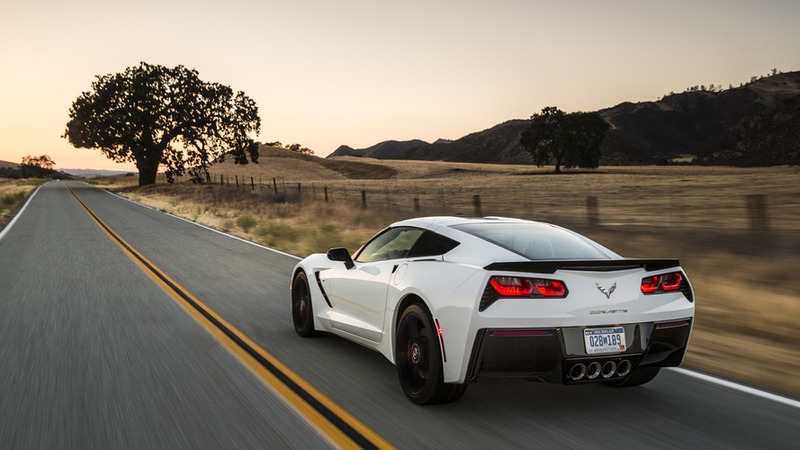 It’s possible that Chevy engineers will modify the Z06’s LT4 6.2-liter supercharged V8 to extract more than its current ratings of 650 hp (484 kW) and 650 lb-ft (881 Nm). 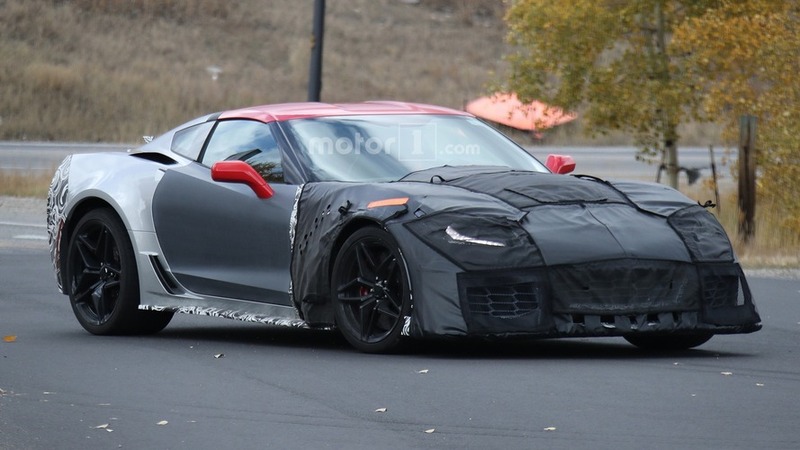 It has also been suggested that the ZR1 will use a new dual-overhead-cam V8 engine, dubbed LT5; that would harken back to the C4 ZR1 both in name and engine valvetrain configuration. That is backed up by a leaked General Motors document listing a 2018 Corvette with an LT5 6.2-liter DOHC engine that would be all-aluminum with direct fuel injection. GM has also trademarked that name for use on "Engines for automobiles." Whichever engine is used, power should feasibly rise to at least the 700-hp (521 kW) mark. 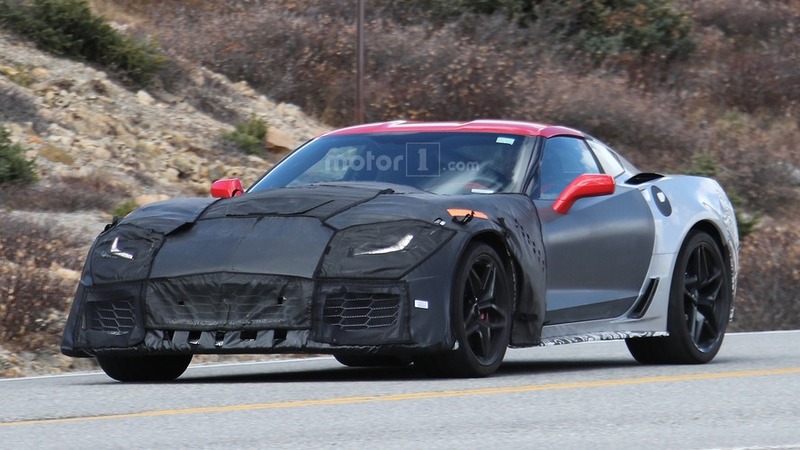 The Corvette’s seven-speed manual transmission will likely be offered, potentially with the new ten-speed automatic from the Camaro ZL1 as an option instead of the Corvette Z06’s typical eight-speed unit. What we can see clearly in spy shots is that the ZR1 will wear wide tires and upgraded brakes. More specifics, though, remain to be seen. It’s safe to expect the ZR1 will build upon all the best performance bits already available in the Corvette stable, though. The upgraded brakes from the Z06 Z07 pack, for instance, are carbon-ceramics with 15.5-inch front rotors. And the package also includes Michelin Pilot Sport Cup 2 tires in massive sizes, 285/30ZR19 in front and 335/25ZR20 in the rear. Also expect the ZR1 to have the clever Magnetic Ride Suspension, Performance Traction Management, and electronically controlled limited-slip differential technologies as the Z06. Plus, of course, an aerodynamics kit that will keep the car pinned to the road at speed. With its Z07 pack, Chevrolet says the Corvette Z06 already produces more downforce than any other GM production car. Though earlier rumors hinted the ZR1 might come to a major auto show, specifically the 2017 Detroit show in January, it now looks like we’ve got a lot longer to wait. 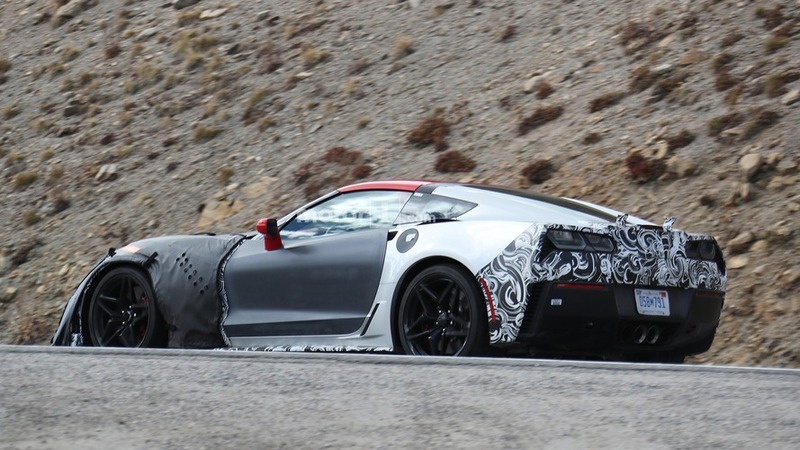 The latest info, by way of Car and Driver, suggests the high-performance Corvette will be revealed this August at the Continental Tire Road Race Showcase IMSA event. Showing a new Chevrolet performance car outside of the traditional auto-show circuit isn’t exactly without precedent. The current, sixth-generation Camaro was introduced at a special owners’ event in Detroit in summer 2015, and earlier this year Chevy showed off the Camaro ZL1 1LE ahead of the Daytona 500 race. With that August public debut, look for the Corvette ZR1 to go on sale sometime next year as a 2018 model.